Chi Omega is proud to foster such warm and genuine relationships between our members through our quarterly social events. We love getting together with fraternities, sororities, sports team, and other campus entities to meet new people and fully immerse ourselves in the Cal Poly community. Each quarter we have a jam-packed calendar filled with fun social events including date parties, themed exchanges, delicious catered sports dinners, and our annual formal – White Carnation Ball. No matter what event we're attending, we love being able to share our college experiences with other members of our community. 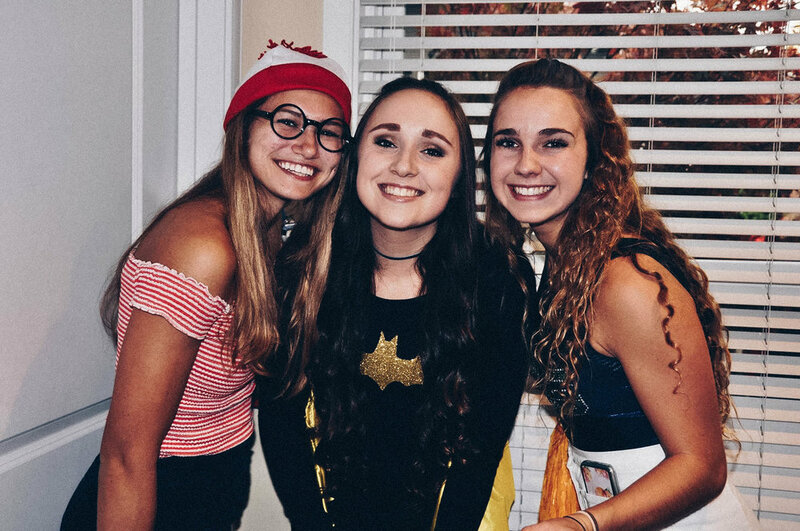 Whether it's a trip back to the 80s to tape a workout video or an adventure back to the Prohibition era of the Roaring 1920s, we love having a constant excuse to whip up our best costumes and dance the night away with our sisters.